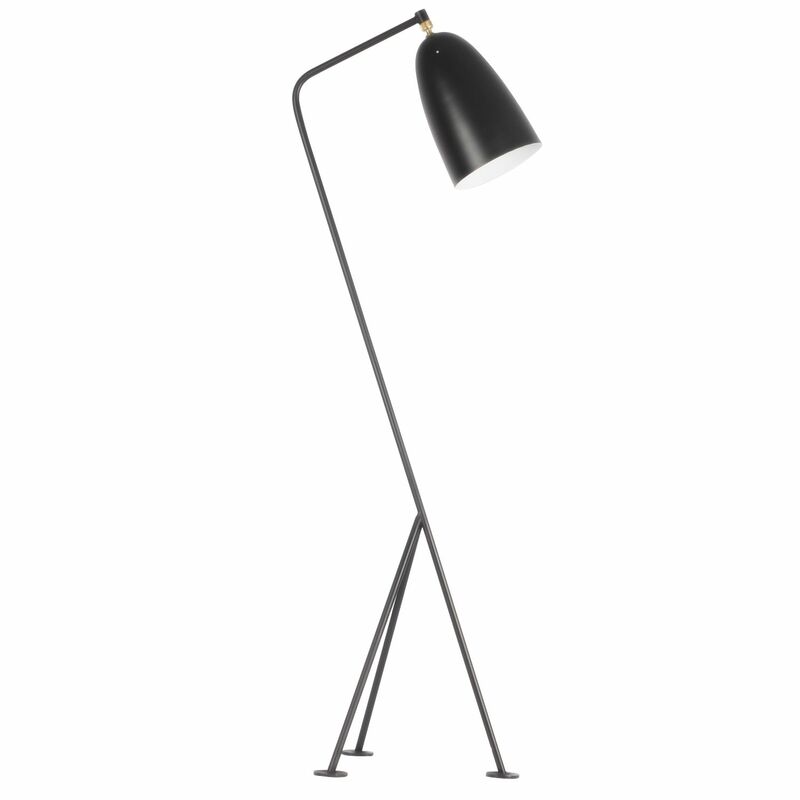 Floor lamp of unmistakable, original, modern and sophisticated design. Inspiration grasshopper lamp of Greta Grossman. Support base of tripod form. The maximum width between the feet is 43,5 cm. Diameter of the shade: 15 cm. Length of the shade: 28 cm. Structure made of carbon steel. 3 colours available: orange, black and white. It works with a bulb E27 of 60 W (not included). The GRASSHOPPER Lamp is an iconic model, produced for the first time in 1947 by Greta Grossman, the Swedish Design that knew better than anybody else how to represent the union between European design and Californian modernism. 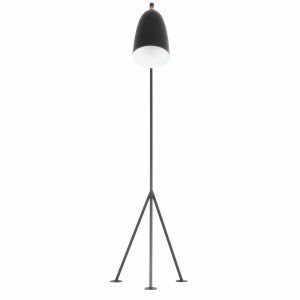 The famous GRASSHOPPER Lamp is formed by a tripod of tubular steel in lightly reclined position and by a shade of conic form fixed to an flexible lamp arm. In this manner, the light is directional and the shining is perfectly controlled at any time. Both the lamp food as well as the support are made of carbon steel and they are available in different colours. 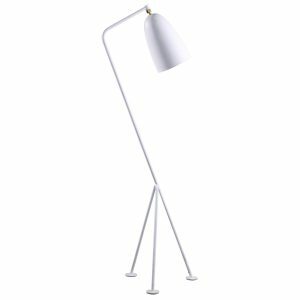 It is the perfect lamp for your living room, next to the sofa or in your favourite reading corner. 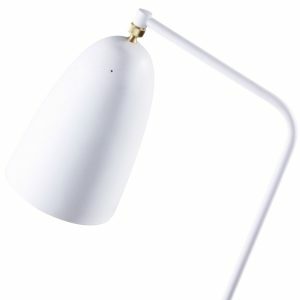 Add a touch of unmistakable and unique design to your home with one of the most iconic models of lighting design.